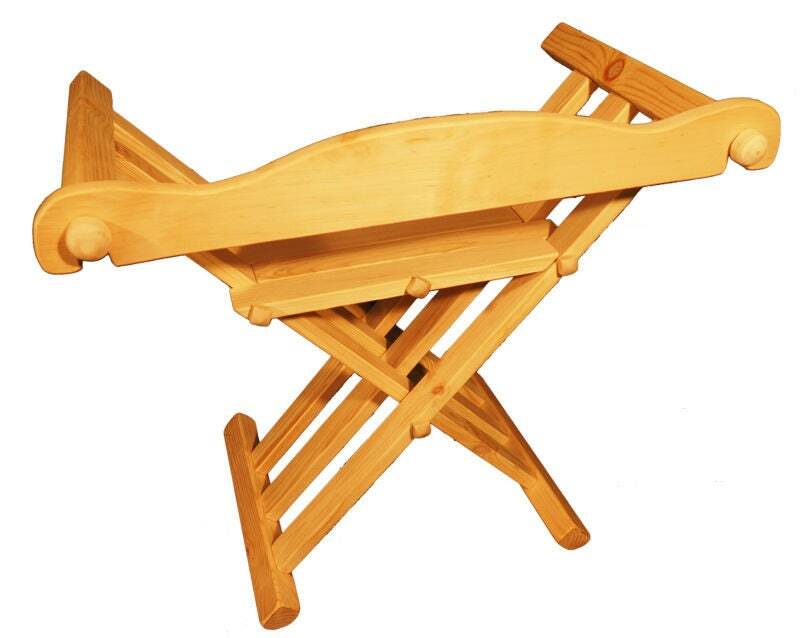 Sturdy handmade wooden chair. 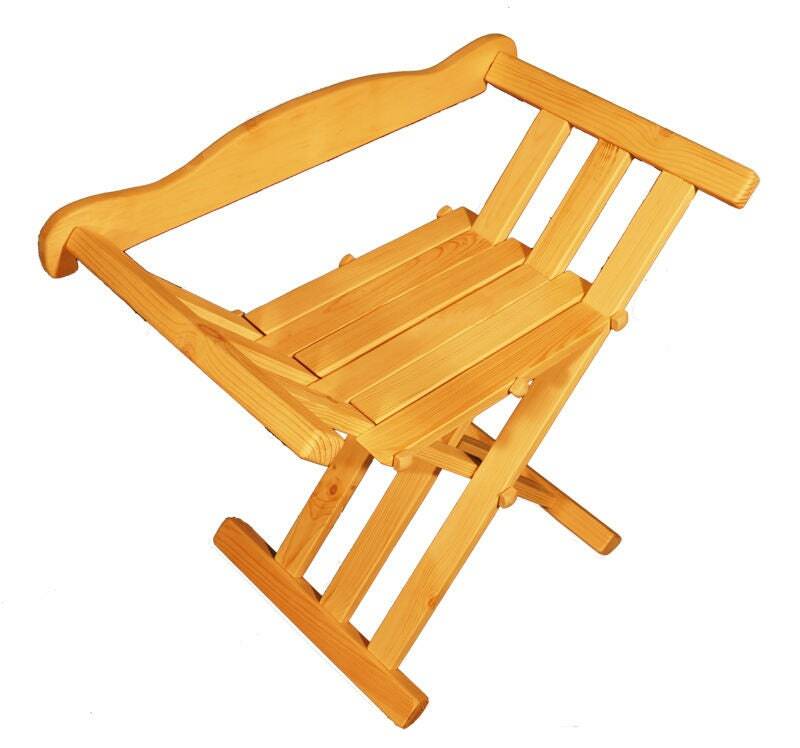 This is a replica of chair used widely in Europe from ancient Rome to XVI century. Frame is made of pine wood and it can be finished with varnish and paint. This chair have detachable backrest. 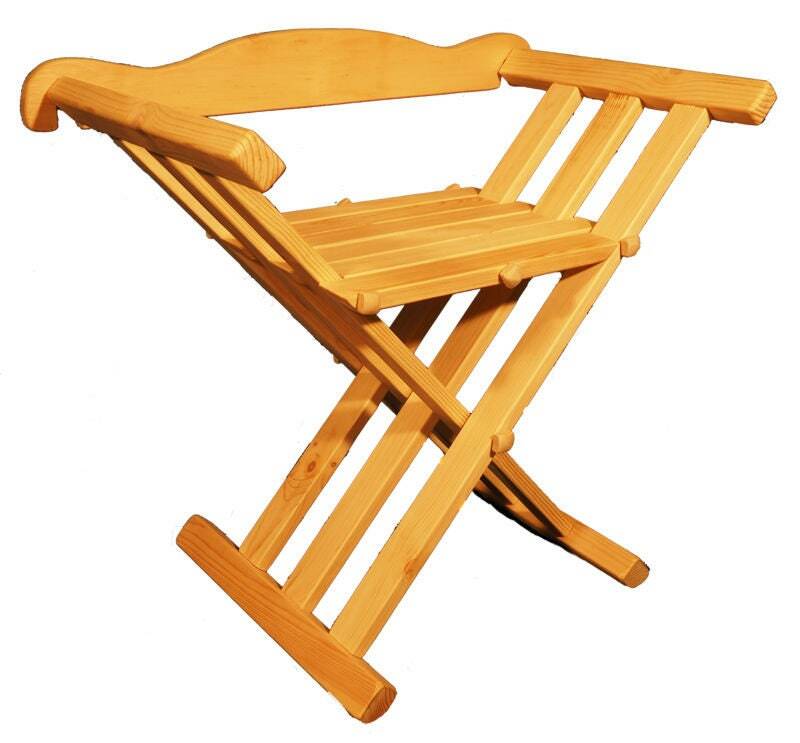 Chair is folding almost flat (9 cm / 3,5” width) and its very light (4 kg / 9 lb) with is perfect for transport. Ideal for camping or historical reenactment. 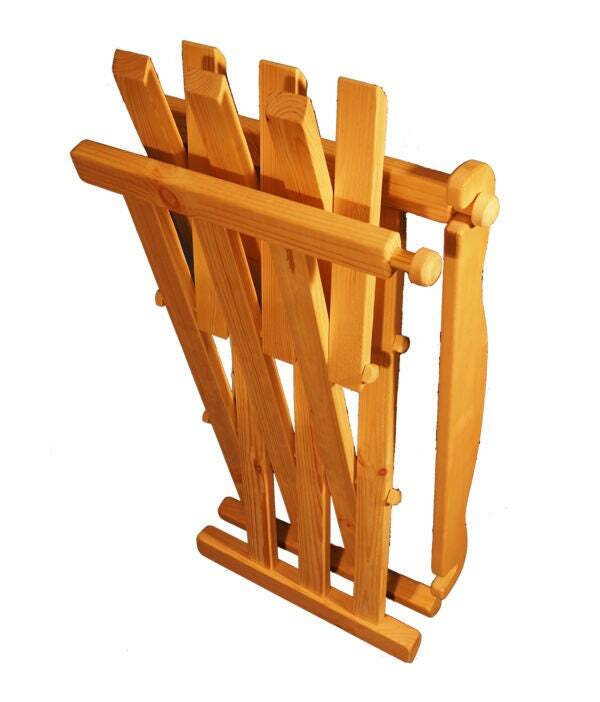 Please contact us if you want larger amount of this product. The chair is well made, and works well. 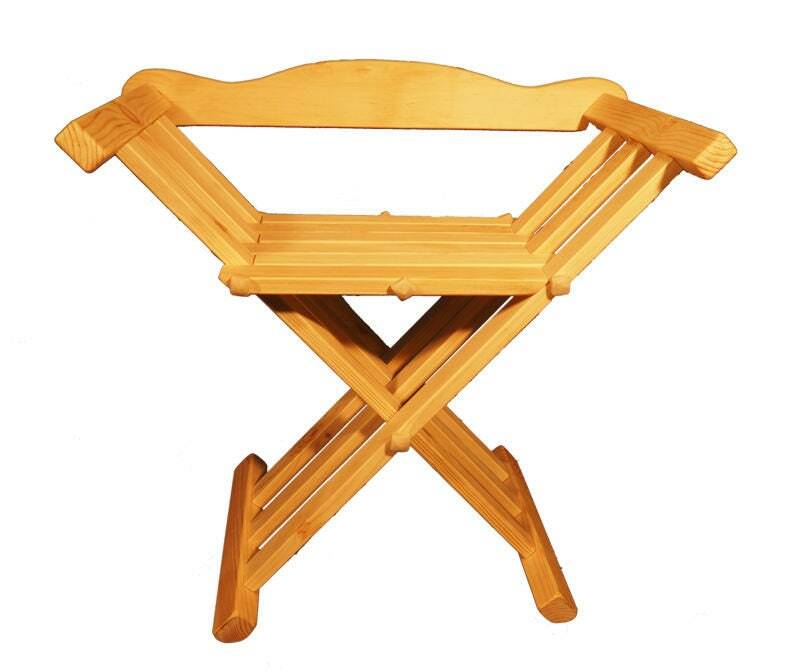 I like the ability to have a removable back with a chair that can still be folded flat. My only qualm is that the chair is a little small/tight for larger size people. It will work perfectly well for me, but I would not trust my boyfriend to be able to sit on it for a long period of time. Great chair ! Thank you !